From gluing corks to holding parts for soldering, this set of tweezers is a must have for the woodwind technician. 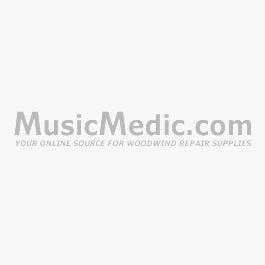 The variety of tip shapes allows you to select the perfect tool for getting into hard to reach areas on any woodwind instrument. The molded handle on these tweezers protects a technicians hands from burns when soldering. These tweezers are sprung shut so you can place your part in the tweezers without holding the jaws closed.